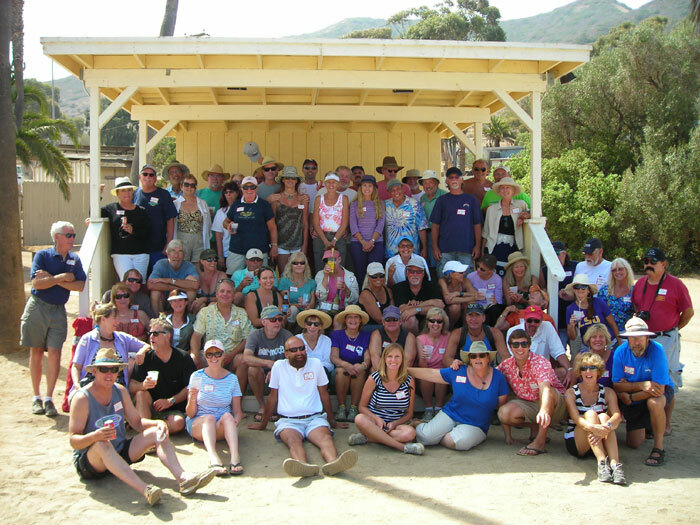 TWO HARBORS — Members of the West Coast’s largest marina operator, Almar Marinas, traveled to Two Harbors at Santa Catalina Island in September for a weekend of island fun. Six Southern California marinas participated in the event: Ventura Isle Marina, Anacapa Isle Marina, Bahia Marina, Peninsula Yacht Marina, Marina del Rey Marina and Cabrillo Isle Marina. The highlight of the weekend was a party held at the island’s west bandstand. There were chipping and horseshoe competitions for cash prizes, and “Almar members had a blast getting to know other like-minded people who keep their boats throughout Southern California,” according to the marina operator. Participants in the weekend getaway were also entered into a raffle, in which the grand prize was one month of free slip fees. Almar Marinas are found in many of the major Western boating markets, including Ventura, Channel Islands Harbor, Marina del Rey, Alameda, San Francisco, Oakland, Martinez, San Diego and two marinas in Hawaii. Combined, these marinas can accommodate more than 3,000 watercraft. Almar Marinas’ members enjoy free reciprocal privileges at any of these 16 marinas. For more information, visit almar.com.